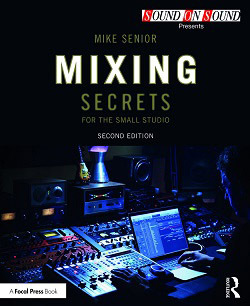 Unmixed Multitracks For Practice Purposes: If you're looking for something to use for practicing your mixing, check out the 'Mixing Secrets' Free Multitrack Download Library, which contains 364 projects in a variety of different musical styles. These are free to download for educational purposes, and can easily be imported into any DAW by copying all the WAVs to the same point in the time-line. Vocal Multing Examples: For the majority of the mixes I do I end up multing the lead vocal part so that I can alter its processing to match changes in the song's arrangement, and there's a good example in this Mix Rescue. First compare the two vocal sounds: verse (Ex05.01:WAV/MP3 ) and chorus (Ex05.02:WAV/MP3 ). Then listen to how their processing and effects differences make sense within the context of the remix (Ex05.03:WAV/MP3 ). Another example can be heard in this Mix Rescue. Again, here are the verse (Ex05.04:WAV/MP3 ) and chorus (Ex05.05:WAV/MP3 ) vocal sounds, as well as a section of the remix (Ex05.06:WAV/MP3 ) to show how they contribute to the production as a whole. And a final example comes from this Mix Rescue, where the verse vocal (Ex05.07:WAV/MP3 ) and chorus vocal (Ex05.08:WAV/MP3 ) are deliberately contrasted for more artistic effect, as you can hear within the context of the full remix (Ex05.09:WAV/MP3 ). Multing In Practice: Here are a few Mix Rescue projects which illustrate a variety of different uses for multing. 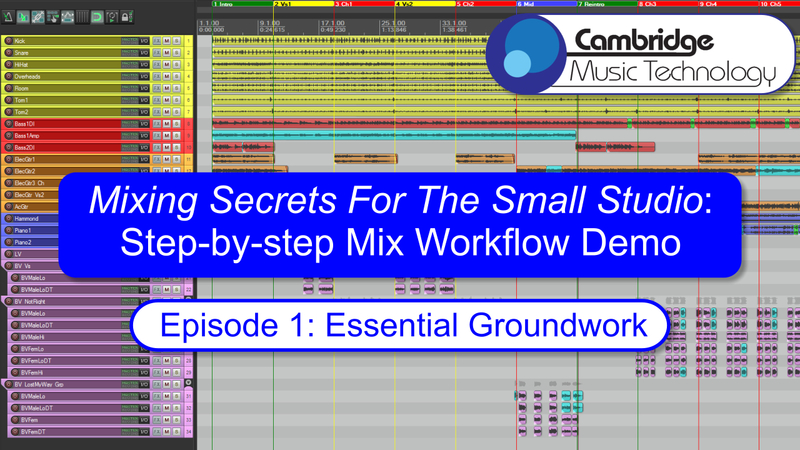 In this article I ended up multing a large number of parts (including the drums, guitars, and vocals) to reflect arrangement changes between sections, whereas in this article I used more 'micro level' multing, slicing up drum loops into individual hits for separate processing. For this article (from which the screenshot in Figure 5.5 was taken), it was impossible to make any sense of the complex outro vocal arrangement without first multing all the lead and backing vocals into appropriate functional groups.